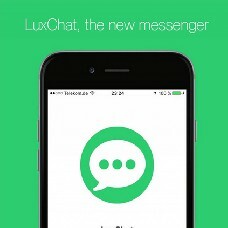 Have you ever wanted to launch your own instant messenger, like WhatsApp or Kik? Accumulating thousands of users in your app? It is a complete instant messenger application built for iOS (iPhone, written in Objective-C), very similar to Whatsapp and Kik or even Facebook?s well-known iOS messenger app. Users are able to send instant messenges to other users and add their friends as their contacts to the app. Besides sending simple text messages, you can also send photos and videos, or even stickers. And in case no image can express what you want to say, you can simply send an audio message to your friends or share your location with them. The application also features an online indicator system, showing you who of your friends is currently online, and who currently isn?t. And when sending a message, you will automatically see when the other user reads it, because this application has a built-in read receipt system. You also have the possibility to create large chat groups with no caps in the number of people you put in the group. Additionally, you have an extended settings page at your disposition, where you can decide if you want to receive notifications, show your online status or send read receipts. In the settings page, you can also personalize your profile and see the users you blocked because they simply got on your nerves. The application offers high security standards - every connection to the backend is made via SSL to offer your users very high security standards. Launching and sustaining your own messenger project does not have to be expensive. You can launch your private messenger for free and don`t need to pay a single dollar to sustain it. As the backends of this project, Parse and Firebase, have free plans, you are basically able to run this project with no costs at all, and still have all the features available. Both backends also have cheap paid plans, in case you need more space or simply have more users than thought (basically a good thing, no?). Buy this project today and launch your own instant messenger for iOS tomorrow! Want to see this project live? Download it here from the AppStore. About Parse: As you might already know, Parse is officially winding down its services. The sunset period will be completed on January 28 2017, so we still have a year. Note that, at this moment, you are no longer able to create a Parse account (if you don't have one already). With the latest update, I migrated the app over to back4app, a service that makes it really easy to continue using the powerful Parse API. You should also migrate your existing app, if you haven't already. This app now uses the Parse API, but is independent from Parse.com! The project comes with a Getting Started Guide that helps you in case you have any questions. However, if you still have some questions, please don?t hesitate to contact me, I?ll be happy to help you. These are the most important ones, and they have all done some incredible good work! I'd like to thank them all, and also the ones that have not been named here, but are listed in the project itself. Open sourcing source code to help other developers build better products is a great move. Thanks! The project comes with a complete guide on how to setup and reskin the app, but basically you only have to create Facebook/back4app/Firebase app and insert your personal keys instead of mine. Reskinning is also quite easy, most parts of the app are built with .xib's, so you only have to drag and drop your changes. For all the other things, you'll see that changing them really isn't difficult but only needs a few lines to be changed. Adding back4app push notification support! Simply upload the included .js cloud code files to your back4app app. Migrating from Parse.com to back4app.com. You should also do this migration, as Parse is shutting down next year. The setup guide explains the migration, please have a look at. You can also migrate to any other service, but back4app effectively is plug and play, you can keep your entire backend code as it is!